“L’Oreal Professionnel Serie Expert Force Vector Shampoo reinforces weakened, fragile and brittle hair by depositing a super charge of Incell. The product comes in a cute strawberry colored see-through bottle with a flip open cap. The small, sturdy, and leakage proof packaging makes it a travel friendly product. Since, it’s a see-through bottle, I thought the shampoo inside would too be in beautiful pink color like the bottle. But I was surprised to find the shampoo looked like water with a thicker gel like texture. The scent is mild with pleasant floral notes. And while, it doesn’t linger on for long, it does give a refreshing feel through-out the day. Now moving on to the real part for which you all have been waiting for – what the shampoo did for my hair? Did it really fared well on its claims? Did it really helped in controlling breakage and improving the texture of my mane? Read on to find out. What L’Oreal Professionnel Force Vector Shampoo did to My Hair? First off, the shampoo is an amazing de-tangler. Just after the first wash, all my knots disappeared, enabling the brush to slip easily through my hair. I have super dry hair and brushing sans resistance in the absence of a conditioner or serum is simply out of the question. But this shampoo really reduced the time and effort I usually take to brush my hair. Since, less effort in brushing means less hair fall and breakage, it added the missing bounce in my fragile hair. My hair are smoother, softer, and indeed stronger! Another good thing about this shampoo is that after using this shampoo, I don’t feel the need to use a conditioner. I have an oily scalp and conditioner tends to weigh down my hair, making them look greasy and oily just after the second day. But with this shampoo my hair look fresh and bouncy even on the third day! The only con I have experienced about this shampoo is that it doesn’t lather much. So you need more of the product to get that ‘clean feel’. And if you oil your hair, you need to wash your hair twice or even more! 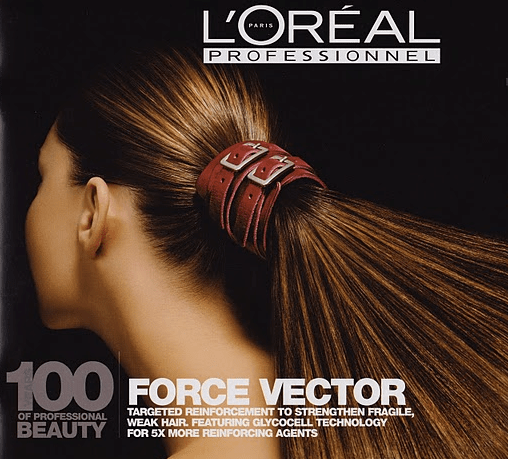 On the whole, L’Oreal Professionnel Serie Expert Force Vector Shampoo is a good product for dull, fragile hair but like everything in L’Oreal Professionnel line, it is expensive. 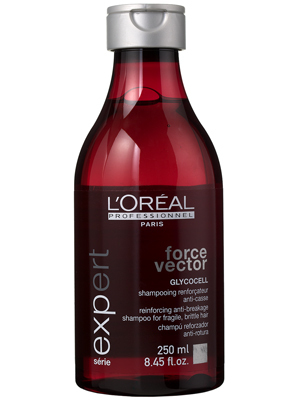 However, if you have dull, fragile hair and rely heavily on conditioners and other chemical laden products to maintain your mane, this force vector shampoo from L’Oreal is worth a try. P.S. – Though, I have received this shampoo as sample for review, the opinion expressed is completely mine based on the experience of using the shampoo. I love this shampoo but conditioner from this range is not much help..
Shampoo is really good. Not sure for conditioner. Amazing product! I love L’oreal shampoos! Thanks for sharing! I’m using those every now and then too! Gotta try their Professional series! Thanks for sharing, ladies! Thank for sharing this post. And congrats on becoming a mommy! It sounds great but it’d definitely not too cheap. I always use different brands of shampoos to switch it up for my hair! Will check for the same Purva. Thanks for posting, I’ll have to try this product! Congratulations!!! You’ve become a mommy and to a bay girl, that is so lovely! On a note about the shampoo, I like when it lathers, but if it’s efficient it would be good. I don’t brush my hair very much anyway, normal way, I would say, so that wouldn’t be a point to me, but anyway, I love L’Oreal shampoos! I liked that you said it leaves hair shiny and that the scent is good! Thanks a lot Denise for sahring your thoughts! Congo’s Anshulika. I wish it lathers well. My scalp feels cleans only when shampoo lathers.